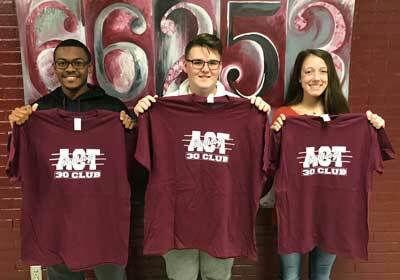 New Albany High School presented ACT 30+ Club t-shirts to RJ Rutherford, Drew Darling, and Emma Laney on January 16 for their recent success on the ACT. Students who have a composite or subscore of 30 or more on their recent ACT are inducted into the club. New Members of NAHS ACT 30+ Club: R.J. Rutherford, Drew Darling and Emma Laney. 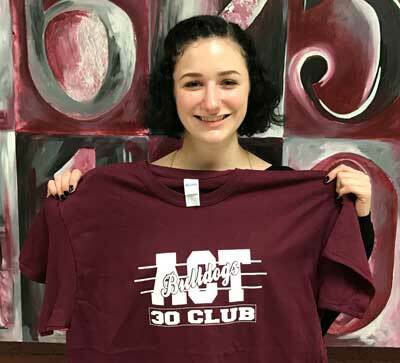 New Albany High School presented an ACT 30+ Club t-shirt to Cecelia Pullman on January 23 for her recent success on the ACT. Students who have a composite or subscore of 30 or more on their recent ACT are inducted into the club. New member of NAHS 30+ Club, Cecelia Pullman. 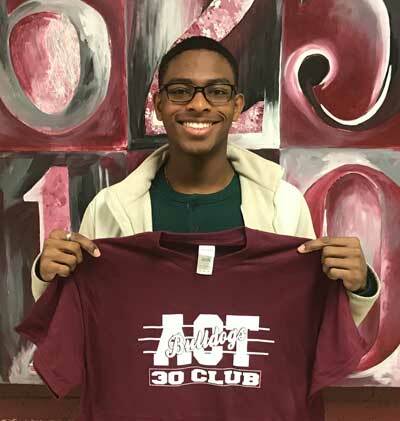 New Albany High School presented an ACT 30+ Club t-shirt to Joshua Montgomery on January 24 for his recent success on the ACT. Students who have a composite or subscore of 30 or more on their recent ACT are inducted into the club.